Cashmere! 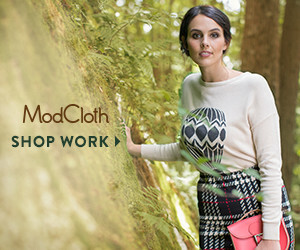 Yes — lots of cashmere. With the colder months coming up and snow just around the corner, nothing will leave you feeling toastier than a Red Twist Cashmere sweater wrap. Made from 100% of the softest and warmest pure cashmere, these sweaters come in 15 different colors and are about $175 each. You can definitely feel good about the purchase though, since a portion of all proceeds go to sending underprivileged girls to school. Rodan + Fields Dermatologists recently launched the REDEFINE MACRO Exfoliator that you’re to use once a week for five minutes. This hand-held, personal-use exfoliation tool claims to sweep away dead skin cells and leave behind a smoother, healthier-looking and more luminous complexion. Facials can run you up to $100 each time you go. This exfoliator retails for $279. 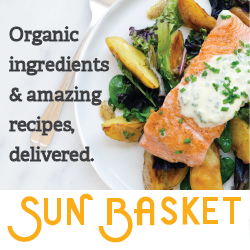 Subscription Boxes! Just like, “there’s an app for that” in your smartphone’s app store, “there’s a box for that” somewhere online just waiting to be ordered. By ordering a subscription to a type of box, you’ll get a monthly delivery right to your doorstep. Birchbox is a great example! Each month, you are sent new beauty products to discover – samples, if you will. It’s really a great concept and there’s a ton of different box services you can be part of! 800razors.com recently started a subscription box. This “burn-free” razor company ensures people get the best razor for the best shave at the best price via their Burn-Free Guarantee. Not bad, huh? Subscriptions for a razor handle and 4 cartridges are just $10/month. Bling, bling! Berricle is an online destination for shoppers looking for affordable yet elegant pieces to add to their collections. These sterling silver and cubic zirconia pieces can help you stay up to date with the latest trends without breaking the bank in a major way. Check out the site’s 3,000 designs! Anything from Frederic Fekkai! 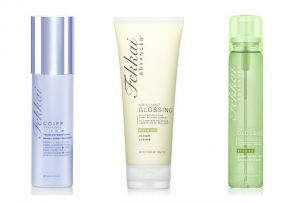 We’re huge fans of all-things Fekkai, but our all-time favorite is their Glossing Cream. The frizz-fighting cream works for nearly every hair type and is infused with a new “Encapsulated Shine-Release Complex” with an olive oil formula. Basically – it’s amazing. Get it. Get it now. Here. $34.